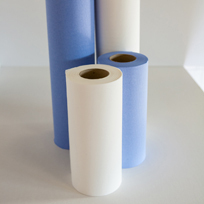 We produce consistently high quality tissue products with the ability to manufacture bespoke sizes to your requirements. We continue to invest in modern technology and machinery so that our efficient onsite manufacturing processes ensure that we remain competitive within the market. Our friendly customer service team can arrange delivery of our products using our rapid Nationwide Delivery Service. NEXT DAY delivery service is available on stock products for your convenience. 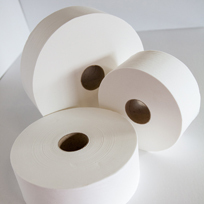 Industrial Paper Converters are an independent UK manufacturer and supplier of disposable paper hygiene products. Through continued investment and development we have built up a reputation for supplying consistently high quality tissue products to a diverse customer base whilst remaining competitive within the market. 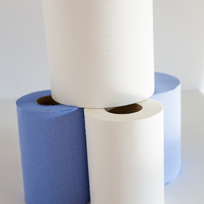 Our product range includes Centrefeed Rolls, Hygiene Rolls, Industrial Wiper Rolls and Toilet Tissue. We are flexible in our approach and are happy to provide our products and services to customers with just a minimum requirement of one pallet which can be delivered FREE using our rapid on-time delivery service. Our NEXTDAY delivery service is available for your convenience when ordering our stock products. Our friendly team are committed to providing customers with exceptional customer service and reliability. 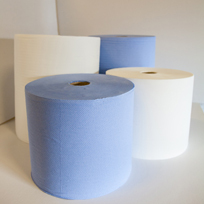 Please call us on 01246 224949 or email info@industrialpaperconverters.com for a quotation or to place an order.